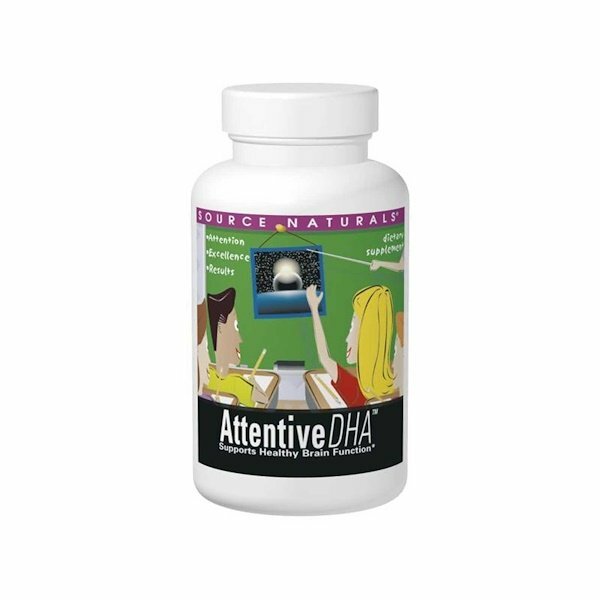 Source Naturals Attentive DHA is a fatty acid that the brain uses for its growth and function. DHA is naturally found in fresh fish and other foods that your child may not enjoy. Many active children have been found to have a special dietary need for essential fatty acids, including DHA. Source Naturals can help you meet your energetic child's needs with our special form of life'sDHA completely vegetarian softgels that are easy to swallow. For children who are unable to swallow softgels, pierce shell and squeeze contents into food. Natural crystallization may occur. 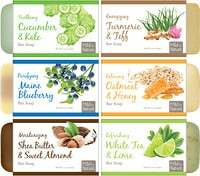 Modified corn syrup, glycerin, high oleic sunflower oil, purified water, carrageenan, sorbitol, ascorbyl palmitate, tocopherols, natural flavor, sunflower lecithin, and caramel. Note: If you are pregnant, may become pregnant, breastfeeding, or taking any prescription drug, consult your health care professional before using this product.